Residents, wouldn’t it be nice to get a new TV, Bluetooth speaker, wifi action camera, or other techy gift? Well now’s your chance! 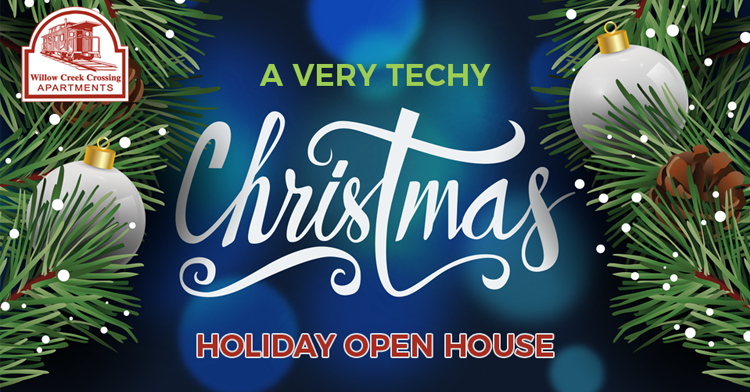 Stop by our leasing office December 19th from 4-6pm for A Very Techy Christmas Holiday Open House! If you can’t make it to our open house, stop in anytime with your non-perishable donation and enter the drawing. Let’s go all out to support the Community Harvest Food Bank this Season!